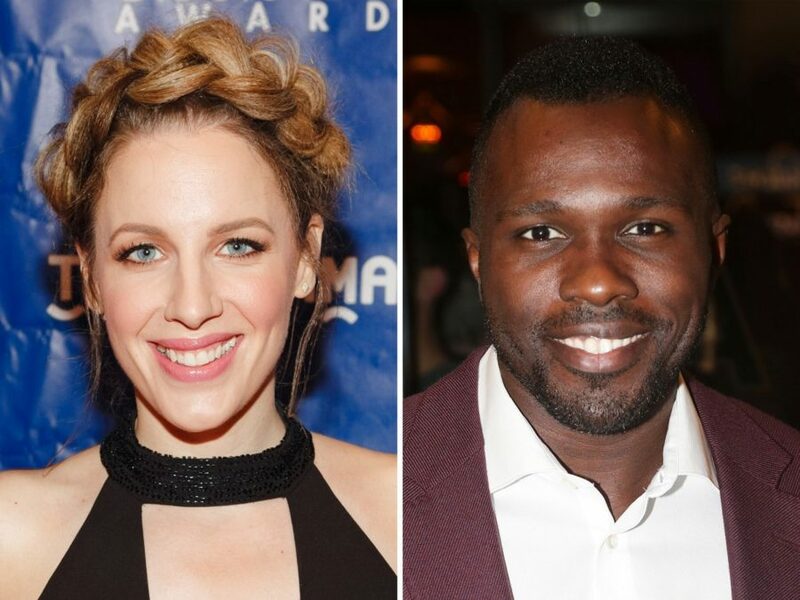 The Rodgers and Hammerstein classic Carousel will return to Broadway in 2018, featuring Tony Award winner Jessie Mueller (Waitress) as Julie Jordan, Tony nominee Joshua Henry (Hamilton) as Billy Bigelow and opera star Renee Fleming as Nettie Fowler. Three-time Tony winner Jack O’Brien will direct the revival, set to open on March 23, 2018 at a theater to be announced. The production will be choreographed by Justin Peck, a one-time Broadway performer (The Phantom of the Opera, Movin’ Out, Come Fly Away) who is now resident choreographer of the New York City Ballet. Two company members of NYCB will be featured in Carousel: Amor Ramasar as Jigger and Brittany Pollack as Louise. Mueller earned a Tony Award in 2014 for her star turn in Beautiful: The Carole King Musical. She also earned Tony nods for Waitress and On a Clear Day You Can See Forever; other Broadway credits include Nice Work If You Can Get It and The Mystery of Edwin Drood. She previously played Carrie Pipperidge in a concert version of Carousel for the New York Philharmonic in 2013. Henry, currently performing as Aaron Burr in the national tour of Hamilton, made his Broadway debut in In the Heights, received Tony Award nominations for his roles in Violet and The Scottsboro Boys and created the role of Noble Sissle in Shuffle Along. Fleming, a four-time Grammy Award winner, has performed on the stages of countless opera houses, including the Metropolitan Opera, Milan’s La Scala and London’s Royal Opera. She made her Broadway debut in 2015 in the comedy Living on Love. The creative team will include Santo Loquasto (scenic design), Ann Roth (costume design), Jules Fisher and Peggy Eisenhauer (lighting design), Jonathan Tunick (orchestrations), Andy Einhorn (musical supervision and direction) and Scott Lehrer (sound design). Carousel, written by Richard Rodgers and Oscar Hammerstein II, follows the tragic romance of carousel barker Billy Bigelow and mill worker Julie Jordan. The show features a catalogue of musical-theater standards including “If I Loved You,” “June Is Bustin’ Out All Over” and “You’ll Never Walk Alone.” The original production opened on Broadway on April 19, 1945. The show was revived four times, with the most recent staging winning the 1995 Tony Award for Best Revival of a Musical.